I’ve been a student of church growth for over 20 years. I remember being in college and reading about new churches, like Willow Creek and Saddleback, and the tremendous growth that they were having as they were reaching more and more people with the hope of Jesus. Throughout my life, I had the incredible opportunity to start and pastor two fast-growing churches—one in a small town in Kentucky and another one right here, in Nashville. I've pastored through the growth barriers of 100, 250, 750, 1000, 2500, and 5,000+ people. While there are unique growth challenges at each stage, there are also certain things that stay consistent. For that reason, we decided to develop a free resource to help with just that. 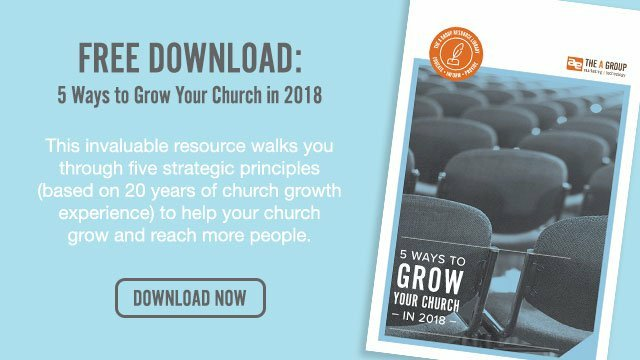 I've identified five foundational principles that will help facilitate church growth, no matter what your current size or what church growth barrier you may be currently facing. We've included everything from ideas on how to bust through growth barriers, website and social media checklists, a free website audit offer, details about retaining first-time guests, strategic times to offer more service options, and more. Don't miss out on this free download below!